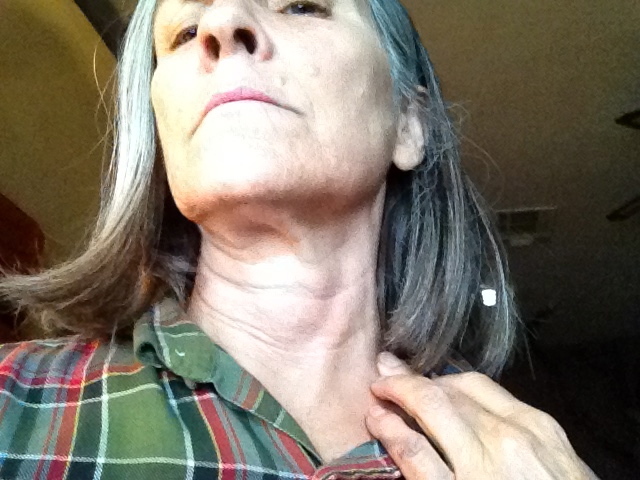 Immediately, I thought maybe I’d scratched my neck and not remembered, but dismissed the theory as the mark seemed too healed to have been recent and too distinctly a scar to have not been noticed. This scar is now about ten years old, and I could kick myself for not photographing it then, but I didn’t, and for the next ten years I still didn’t photograph it, always thinking it had faded too much to bother. Finally, now, ten years later, I’ve done this way-late documentation. You can double-click for the best view.